Giving a loan is one of the most important activities in any bank. When lending money, each lender is interested in getting their money back and also in making a profit from the engagement. However with each loan granted there is a risk that the money will not be coming back, at least in part. Thus, credit risk is the study of the potential financial impact of any real or perceived change in a borrower’s creditworthiness. According to the Basel Committee, «credit risk is most simply defined as the potential that a borrower or counterpart will fail to meet its obligations in accordance with agreed terms». In other words, credit risk is the probability of a borrower meeting the obligations of the loan, and the resulting loss from a borrower’s failure to repay amounts owed to the lender in accordance with terms and conditions of the loan agreement. 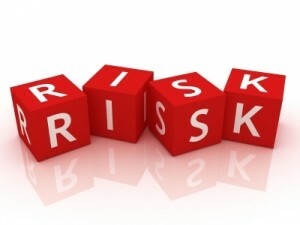 Credit risk is sometimes looked at as default risk, but in addition credit risk also includes the losses associated with a decrease in the credit rating of the borrower, and thus lowering the market value of the loan, as well as losses in the form of lost profits due to early repayment of the loan by the borrower. Credit risk is the primary financial risk in the banking system and exists in almost all income-producing activities. How a bank selects it’s customers, and manages its credit risk is critically important to its performance over time; indeed, capital depletion through loan losses has been the proximate cause of most institution failures. Identifying and appraising credit risk is an essential first step in managing a loan portfolio and resulting risks effectively. Why credit risk identification is important? Banks have a need in risk analysis and management within the scope of their main lending activities. The proportion of “profitability-risk” should be kept at a proper level in accordance with the goals and structure of the bank. There is a high possibility of underestimating risks during the creation of new products, or in searching for ways to increase profitability, or growing the client base. All of which can lead to the growth of losses. Credit risk management is directly dependent on loan portfolio quality and related to the profitability of loan portfolio. Capital reserves are created in the bank to cover possible losses on loans. That’s why it’s highly important to have a credit risk monitoring system to provide the ability to notice potential problems in advance, and this provide the ability of taking quick actions to avoid negative outcomes. Credit risk for banks is from the combination of amounts from past-due loans and from other debts. The Maximum potential loss is the full amount of a loan in case the loan is not paid by the borrower at alll. Delinquent payments do not lead to direct losses, but consequential losses appear such as interest cost (because of the need to fund debtors for a longer term) or interest loss which was possible to get if money are collected in time and put on deposit. Non-payment of a single loan may not lead to a big loss for the bank, if it can be covered by reserves dedicated for expected credit losses. Moreover there is the possibility of losing a large amount of the cash and FIAT assets in the loan portfolio which can lead to the bank failing. In spite of this, retail banks will still look to give loans (even with a high risk level) because of the need to profit and grow. That’s why the most accurate estimation of credit risks, potential profit considering possibility of not paid credits and minimization of these risks are the most important. The goal of credit risk management is to optimize the lender’s risk-return disciplines by keeping both credit risk and potential payment delinquencies within acceptable parameters. Banks should control the credit risk in the entire portfolio as well as in the individual loans in order to determine risk involved.